They could get five children to fill out the rest of the cast and I’d go see it four times in theaters. For those who don’t know, ‘The Magnificent Seven’ was a 1960 movie about seven gunfighters who came together to fight injustice in a Mexican village. 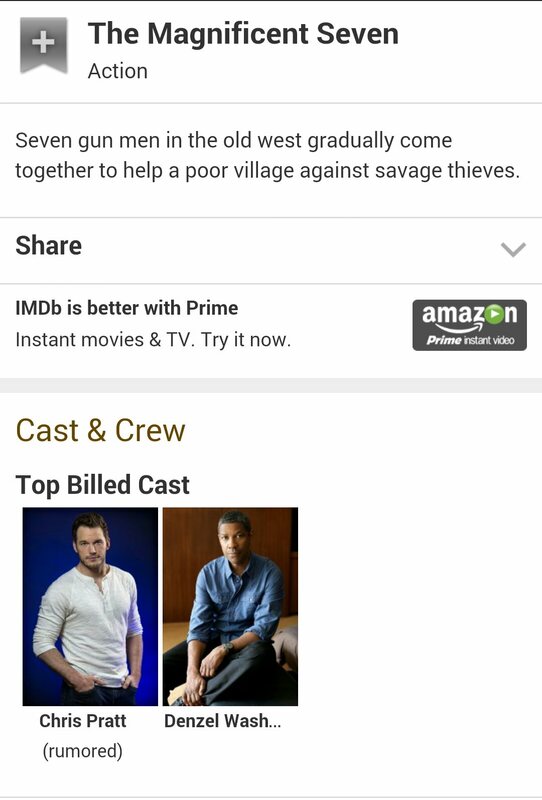 It starred heavy hitters like Eli Wallach, Steve McQueen and Charles Bronson, so I assume MGM is going to want a star studded cast as well for the remake. The lesson here: it’s Chris Pratt’s world, and we’re just living in it. Posted on January 28, 2015, in Average Blog Posts and tagged chris pratt, denzel washington, MGM, movies, the magnificent seven. Bookmark the permalink. Leave a comment.